Dark chocolate is a rich source of antioxidants, and the fat present in this treat is metabolically neutral, like olive oil. This is the only candy with any nutritional value and can be allowed in very small quantities after the weight loss (induction) phase of the Forever Young diet. A study of twenty patients with mild high blood pressure who were treated with chocolate was published in the July 2005 issue of the journal Hypertension. 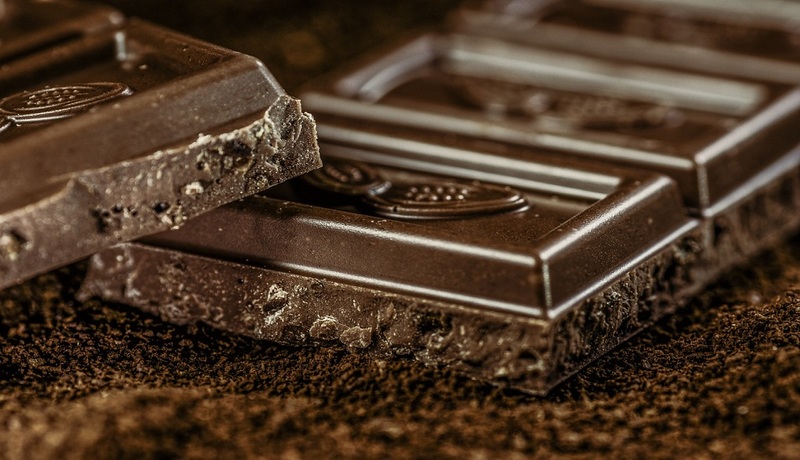 This study reported that 100 grams (about three ounces) of dark chocolate daily for three weeks caused a twelve-point reduction in their systolic (top) blood pressure with a 13 percent drop in the bad cholesterol level. White chocolate showed no benefit in this study. Additionally, dark chocolate improved the health of the blood vessels by making the arteries more relaxed and responsive. Finally, measurement of insulin sensitivity (predisposition to diabetes) was also improved in the patients who received the dark chocolate, but not in patients who received the white chocolate. These benefits were attributed to the presence of high levels of beneficial antiaging flavonoids in dark chocolate. The type of chocolate makes all the difference. Milk chocolate is high in sugar and milk fat and low in antioxidants, and it will expand your waistline, not your arteries. White chocolate is not chocolate at all, and the instant cocoa mixes you find at the supermarket contain only low levels of antioxidants and may include saturated fats from palm oil. Cheaper brands of chocolate are mostly sugar and often substitute toxic hydrogenated vegetable oils for cocoa butter. If you want health-food grade chocolate, look for a product that is at least 60 percent cocoa solids by weight. The first ingredient in a high-quality chocolate bar should be cocoa solids, cocoa mass, cocoa, cacao, cocoa butter, or chocolate liquor. Baking chocolate is 100 percent cocoa and is practically inedible, and most people find chocolate bars with greater than 85 percent cocoa too bitter to enjoy. We prefer chocolate that is 70 to 75 percent cocoa and find that a small chunk (or square) can be savored for a few minutes. Good-quality dark chocolate is high in calories, so you have to limit yourself to not more than about twenty grams (two-thirds of an ounce or 100 calories) daily. Dark chocolate–covered nuts are a highly nutritious (but high-calorie) treat; limit yourself to not more than about ten per serving.